Measure Gold Purity Easily, Accurately in a Few Seconds per Item! In any gold operation, fast and accurate gold purity testing is the key to efficiency and profitability. Gold refining, gold recycling, and any industry that uses gold as part of a manufacturing process has an essential need to accurately identify gold purity at every step of the operation’s process. The high cost of gold means that mistakes are unacceptable. Contact a gold purity testing expert at Bruker to request more information on Bruker gold purity testers as applied to your specific needs. All analysis data is saved and encrypted for due diligence and chain of custody documentation. 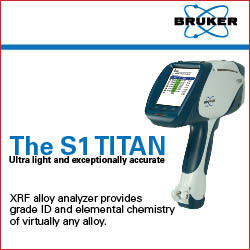 The Bruker S1 TITAN gold purity tester represents the state of the art in gold purity testers. The speed and accuracy means you always know exactly how much gold you have and the exact quantity of gold in any sample, and have the ability to quickly look back at collected data to resolve any discrepancies. 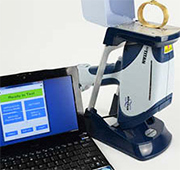 Contact Bruker’s gold testing experts in order to request information regarding how a Bruker gold purity tester can be incorporated into your specific gold operation.